Thomas Bewick was born in Ovingham, Northumberland, in August, 1753.His father rented an eight-acre smallholding at Eltringham. Bewick was a poor scholar but he took a very keen interest in nature. He was also a talented artist and his school work was decorated with small drawings of birds and animals. 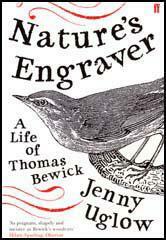 Thomas Bewick's father was friendly with William and and Ralph Beilby, who ran a jewellery, enamelling and engraving business in Newcastle. For a payment of twenty guineas, Thomas became an apprentice at Beilby's workshop. In his autobiography, Bewick wrote about his feelings moving from home: "I can only say my heart was like to break ... as I bid farewell to the whinney wilds - to Mickley Bank, the Stob Cross hill, to the water banks, the woods and to particular trees, and even to the large hollow old elm which had lain (perhaps) for centuries past". The apprenticeship lasted for seven years, receiving wages for the last three. As he later recalled: "The first difficulty, I felt, as I proceeded was in getting the cuts I had done, printed so as to look anything like my drawings, on the blocks of wood, nor in corresponding to the labour I had bestowed upon the cutting of the designs." Bewick was a talented wood engraver and in 1776 Ralph Beilby (1744-1817) made him his partner. 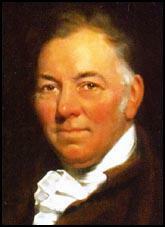 Bewick also employed his younger brother, John Bewick (1760-95) in the workshop. 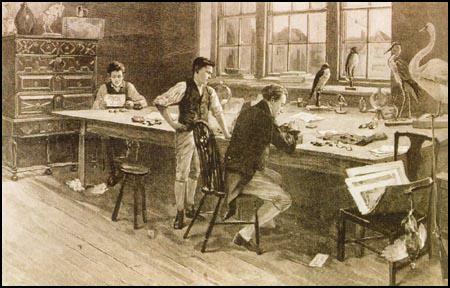 John Eyre's imagined scene in Bewick's workshop entitled The Master Engraver. Bewick provided the illustrations for a variety of books including Gay's Fables (1779), Select Fables (1784), Chillingham Ball (1789), and History of Quadrupeds (1790). Bewick's most famous work was History of British Birds that was published in two volumes and a supplement between 1797-1804. According to his biographer, Jenny Uglow (Nature's Engraver): "illustrated by woodcuts of astonishing accuracy and beauty... this book... "revolutionised wood-engraving and influenced book illustration for a century to come." Bewick also did the engravings for Oliver Goldsmith's Traveller, Thomas Parnell's Deserted Village and William Somervile's Chase. Bewick's son, Robert became a partner in the business. Robert Elliott Bewick (1788-1849) was also a talented engraver and in 1818 the two men produced an acclaimed version of Aesop's Fables. Thomas Bewick died in 1828.